FLORENCE, S.C. – A little over a year ago, Roche Carolina Inc. announced a restructuring as the Switzerland-based pharmaceutical concern sought a buyer for its Florence facility. Pharmaceutical developer and manufacturer Patheon announced Monday it has signed an agreement to take over the 300,000-square-foot facility situated on 1,100 acres along Old Marion Highway. Pete Mazzaroni, Roche Carolina’s director of communications, said the deal is expected to be closed “in 30 or so days, plus or minus.” The target date of completion is toward the end of January. The current workforce is approximately 200 people, he said. That number has trended down since a Nov. 12, 2015, announcement from Roche of an impending restructuring that put 270 jobs in limbo. This summer, company officials said the Florence facility would close by 2019 as it sought to divest of that property and three similar sites in Europe. When officials said that in late June, there were 220 people working at the plant. 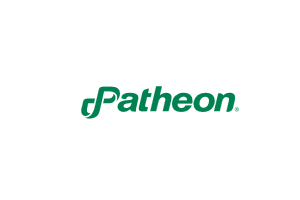 With U.S. headquarters in North Carolina’s Research Triangle Park and European headquarters in Zug, Switzerland, Patheon touts $1.8 billion in revenue for 2015 and employs 8,000 people in 26 locations around the globe. Florence County Councilman James Schofield said he feels good about Patheon taking over the Florence facility. In August 2014, the county council approved a new fee-in-lieu-of-tax agreement for Roche, which was investing $50 million in upgrades to the Florence facility. The arrangement added 10 years to an existing lease. A clawback clause outlines incentive repayment over the next 15 years if the company decided to leave or stop producing. The strengthened clawback clause was put in place at least in part because of Heinz bailing out of a facility that was eventually taken over by Ruiz Foods. Ultimately, he views Patheon’s move into Florence as good news. While financial terms of the deal were not disclosed, records show Roche’s properties and facility are worth at least $3.6 million, excluding equipment.